Ever since I began my adventure as “stay at home mom,” I’ve had this constant argument with myself. Should I make a schedule… or not? So when I had to stay home to take care of Annabelle’s special medical needs, I wasn’t prepared. I was used to cramming cleaning in on weekends. I was used to having my husband do laundry (sometimes… after I’d yelled, er, I mean, asked nicely… Men are wonderful, but not meant to stay at home. I say this with lots of love for my hubby, who agrees wholeheartedly!) I wasn’t used to having to plan my day. I was a corporate manager, and my day kinda planned itself between meetings and deadlines and things. A regular schedule was laughable. Coming home, I figured that I could do the same thing here. I made sure millions of dollars were paid to employes and the IRS… I could handle my little household, right? Two very different things whose “talents” don’t really intersect. For the first year or two, a schedule would have been ZERO help. Annabelle’s health was so tenuous, her doctor appointments so numerous, I just didn’t have time/energy to plan my days. I was on an “as needed” basis, because our life was lived as-needed. But this past year, things calmed down a bit. And my lack of scheduled time has created havoc. I wasn’t getting ANYTHING done. I wasted more time than I care to admit, even though it felt like I had NO time to waste. My house was a mess. My hubby was having to wear dirty clothes to work. My writing was awful when I found time to actually do it. My blogging was last minute and void of the passion for the topics I picked. I was forgetting EVERYTHING from kids school work to bills that needed paid to pretty much you name it, and this Momma was forgetting it. I also humbling admit: I did GREAT last year at losing much needed weight. I took over about 25 pounds, with probably another 30 more needed to go after that. But I was doing it on no schedule. I went the gym a ton, but made time for it when I was needed elsewhere. Everything around me suffered. So when Annabelle got sick in November, and pretty much stayed sick all winter, I realized my error. And since then, I’ve gained back 20 of those 25 pounds. And I feel every… single…. one… of… them…. A few weeks ago, I decided enough was enough. I HAD to get some order about me. I no longer could use Annabelle as an excuse, although HER schedule still keeps me hopping much of the time. I had to work out. I had to stop stress eating. I had to put my kids as a priority. I had to put my writing as a priority, because God was very clearly calling me back to it. And I had to put God as priority, because I’d let life and the craziness of it take over even my time with Jesus. So I started out on the journey to create myself a schedule that I could live with. This week is week 4. Not long enough to be able to tell you it works. Or that it’s perfect. In an effort to be transparent, I’ll tell ya. Week 3 was a little better. Week 4 brings a new challenge. My schedule “changes” from a “school year” schedule to the summer one. I’m still fine-tuning it. Still praying over. Still figuring out the balance. I will tell you though. I have decided that regardless of how it works out, a schedule, the RIGHT one, is definitely a friend. Being a crazy, forgetful, tired, irritable, annoyed, weepy, dirty, overweight, schedule-free Momma? Foe. Yup. Definitely a foe. Over my next few posts, I’m going to be giving you a few tips and things that I learned and followed in creating a schedule that worked for ME. I’m excited to share it with you and get your thoughts on it! For today, let’s chat. Do YOU follow a schedule at home? 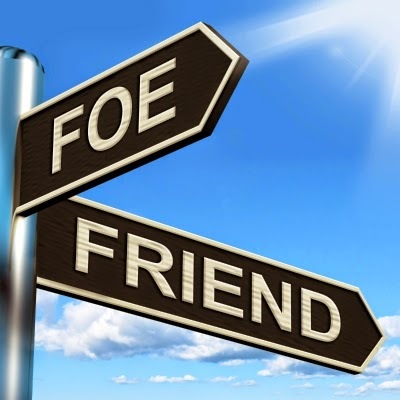 Is it a friend or foe?? Oh my goodness. SEE?? I'm so glad I posted this because I KNEW I wasn't the only one, LOL. Read my future posts about schedules. My AIM was/is to make one that I, miss anti-schedule, can actually kinda sorta stick to. It's a work in progress, but I only fail when I stop trying, LOL.